Sisters from all over the world who are engaged in welcoming and forming new members of the Missionary Sisters of the Society of Mary gathered in Rome from July 5th to 26th to renew our own understanding and commitment to this vital service within the congregation. 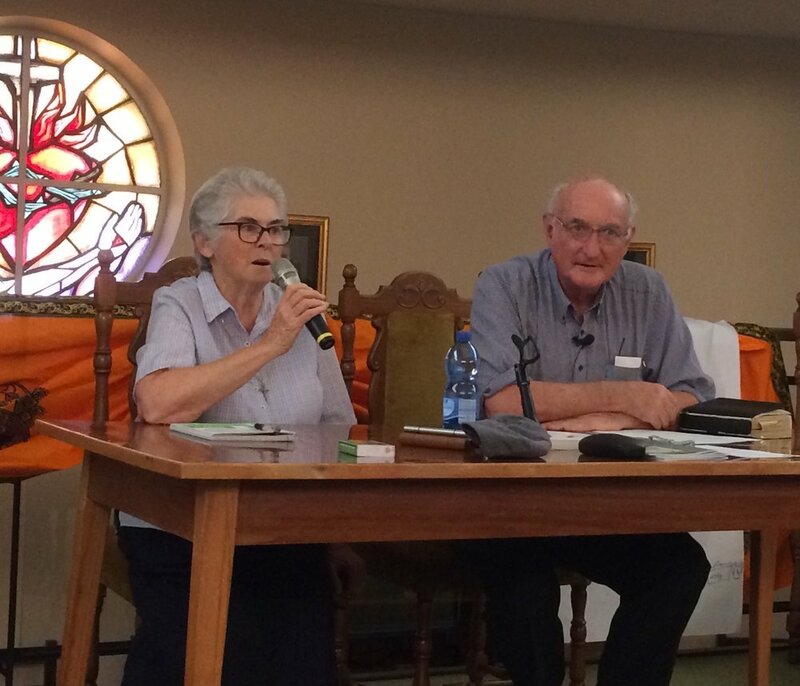 Sister Georgeanne Donovan, our congregational leader, and the members of her Council had prepared the meeting, and all four Regional Leaders were also active participants. 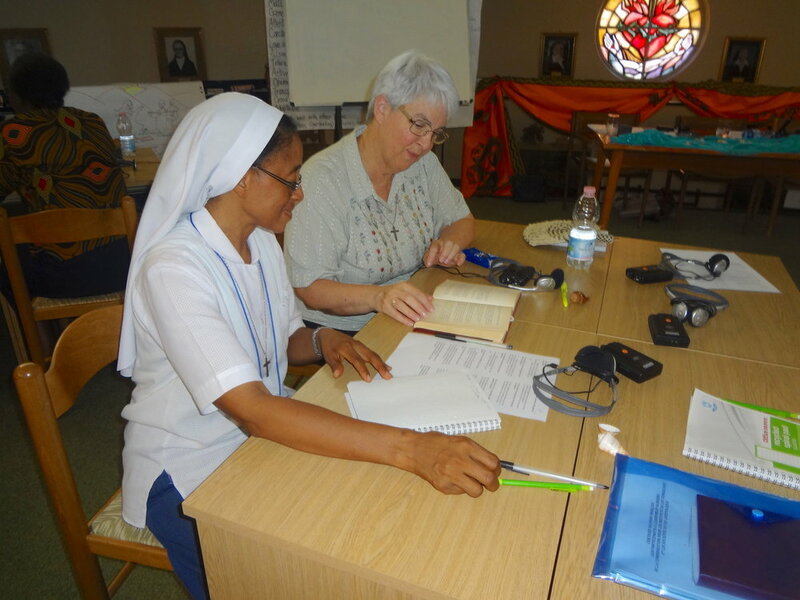 Topics included “Membership and Non-negotiables in Religious Life”, “Criteria and Evaluations”, “Culture and Mission”, “Accompaniment of the New Member”, “Ongoing Formation for Sisters in Temporary Vows”. Despite the terrible heat of this July in Rome, and the lack of air conditioning, this was a very lively gathering. Listening to those with experience, small group sharing, learning from others, working together, role playing, case studies – many different teaching and learning techniques helped to make this a memorable experience. Student Leaders Appreciation Evening, 2016/2017 school year. The Student Leaders Annual Appreciation Evening took place on Friday, May 26th at the SMSM place in San Bernardino. We opened the evening with the celebration of the Eucharist by one of CSUSB alumni, Father Manny Cardoza. Student leaders from CSUSB Palm Desert and University of Redlands were also present, as well as 2 representatives from our Marist Laity and the Samoa Ministry in the diocese. In all, 31 people attended including Sisters. Lorreta Raass and Joan Bernich from La Quinta. Those of you who have been to our house in San Bernardino would agree that the house cannot comfortably hold such a big number. Thank God for the porch on the side of the house. The students put up a couple of easy-ups for the altar and the music ministry. The rest of us were on the grass and in the covered area. Even the garage had a share of colorful and glittering lights for decoration. The students’ spirit of great joy, celebration and enthusiasm permeated the evening. The weather was pleasant and comfortable, considering this time of the year. As one of our students said, “Great things happened when God mixes with us, sister”! The joy-filled evening ended with Certificates of Appreciation for the outstanding leaders of the year, presented by Sr. Pesio Iosefo and Fr. Manny Cardoza. After the final blessing from Father, each one present received a token of appreciation. The students – and Father - did not want the evening to end!